Thank you to those who have already signed up to proudly represent their countries or heritage at next week's Dickinson/Explorer International Night. We would love to have more countries represented! If you would like to host a display table, bring a food sample, or give a performance or demonstration, please sign up to represent a country. Click here for more information, or here to help at the event. For questions, please contact InternationalNight2018@dickinsonptsa.org. Each spring, all Washington public school students in grades 3-8 are assessed in English Language Arts (ELA) and math using the Smarter Balanced Assessment (SBA). Elementary students in grades 5 are also assessed in science using the Washington Comprehensive Assessment of Science (WCAS). For a detailed schedule click here. If you have a child turning 5 by August 31, please register now! We need to ensure we have enough teachers for next year, so don't delay. And, please help us spread the word to neighbors and friends! Support PTSA while you shop! 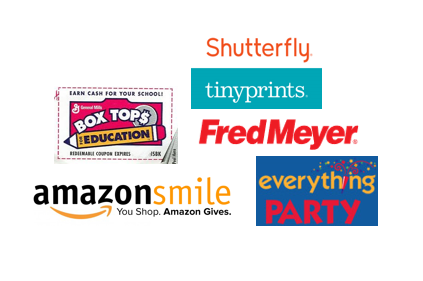 Find out how to support your PTSA and school while shopping at these locations. Click the picture for details!